We have used the #Welcome by Neatebox for 3 visits. The App allows us to let staff know when we are arriving and our requirements. 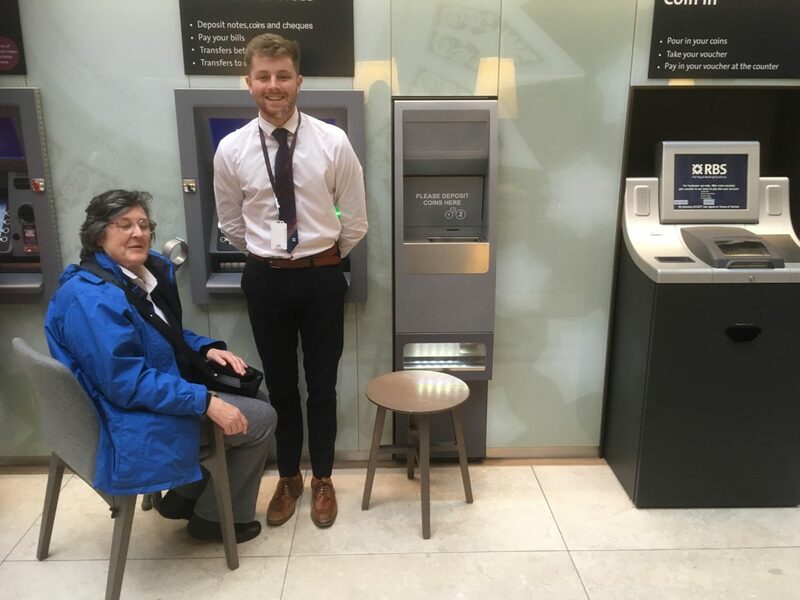 As a result we are met by a member of staff who introduce themselves and then help us access services such as a chair at the cash machine. 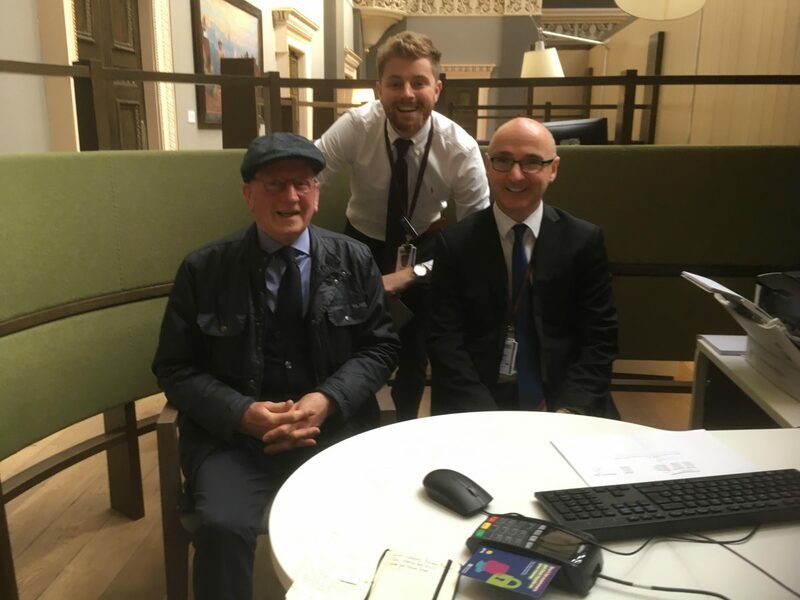 As a result both my husband and I have changed our Bank from one who did not want to install Welcome to RBS and have had a good banking experience with them at this Branch. Access is on the level, there is disabled parking and friendly staff who are aware of our needs.